One of the fun things about what I do is getting to meet some of the movers and shakers in the industry. You might not think of Accellera as a spot to find movers and shakers, but when you consider the impact they have had on what we do (OVL, SystemVerilog, UVM, UPF, SystemC, IP-XACT and others), design today would be unrecognizable without their standardization efforts. So I definitely wanted to meet Lu Dai, the incoming Chair of the organization. Lu takes over from Shishpal Rawat who served as chair for the last 6+ years. 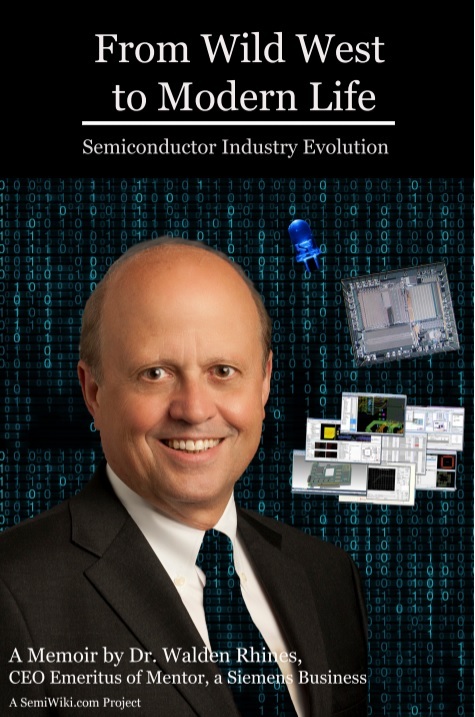 Lu has been in the industry for over 20 years, starting in Intel, followed by a 10-year spell in Cisco and, most recently, nearly as long in Qualcomm where he is currently a Sr. Director of Engineering. Most of this time has been spent deep in various aspects of design verification. He told me that he has been quite actively involved in methodology work, both at Cisco and Qualcomm, which led him to a board seat (representing Qualcomm) at Accellera in 2015. Of course, Accellera hosts DVCon, so if you were there, you can thank the committee who pull the event together each year. They’ve started DVCons in Europe and India (both coming up on their 4th year) and this year will launch DVCon in China (Shanghai). They also play a big role in DAC, they host SystemC meetings in Europe and Japan and a Verification and ESL forum will kick off in Taiwan this year (a heads up for us RTL-centric types – the design and verification world does not revolve solely around RTL). Given all this activity and a wealth of standards in widespread use, a question I had for Lu was why he thought Accellera had been so successful. He thought that having a small number of voting members and high member participation was key. In an earlier panel the chair of one of the working groups was asked what would happen if he had 5 more members on his team. He said that getting to agreement would take 32 times longer . Lu added that closing on agreement when voting members don’t attend meetings takes much longer, and closing when voting members are not expert in the topic (because they don’t attend the working group) is even harder – in those cases the safest bet is often to abstain which doesn’t help get to solid agreement. Accellera working groups certainly seem to be nimble (as nimble as a standards groups can be). And a solid track record of success can’t hurt. I’d add that they also seem to be very pragmatic. Focus is on domains where competing solutions already exist, a standard is clearly needed and the user-base is motivated to drive convergence among vendors. I asked Lu where he wants to take Accellera under his leadership. He feels there are lots of good working groups already, he would like to see some smaller groups added where needed, potentially moving faster to converge on agreement on target topics. He would like to see membership and outreach continue to grow. As semiconductor consolidation has accelerated, corporate and associate memberships have shrunk. Yet there is still great opportunity to diversify membership, both regionally (for example in Asia-Pacific) and into new industries which will drive new demands (cloud, automotive, medical and many more). Dynamic times for Lu to be driving a standards organization, but Accellera has shown itself to be a capable resource for developing practical standards and its widening international presence should give it a good start in cementing solid growth and global relevance. You can get a broader update on Accellera HERE.